1 Burke, John, A Genealogical and Heraldic History of the Commoners of Great Britain and Ireland, Vol. 3, London: R. Bentley (1836), 596, Google Books (Digital Library). 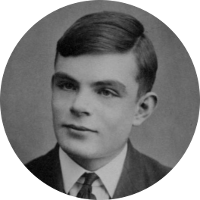 2 Furness, Hannah, "Benedict Cumberbatch and Alan Turing are related, genealogists claim", The Telegraph, (accessed 06/30/2017).